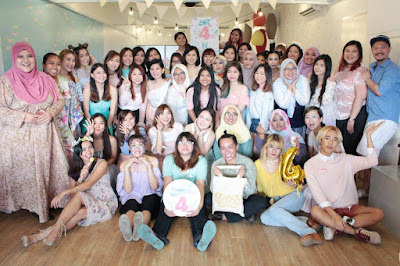 Once again, we would like to wish our favourite Malaysia beauty bloggers community - The Butterfly Project a very happy 4th Birthday. 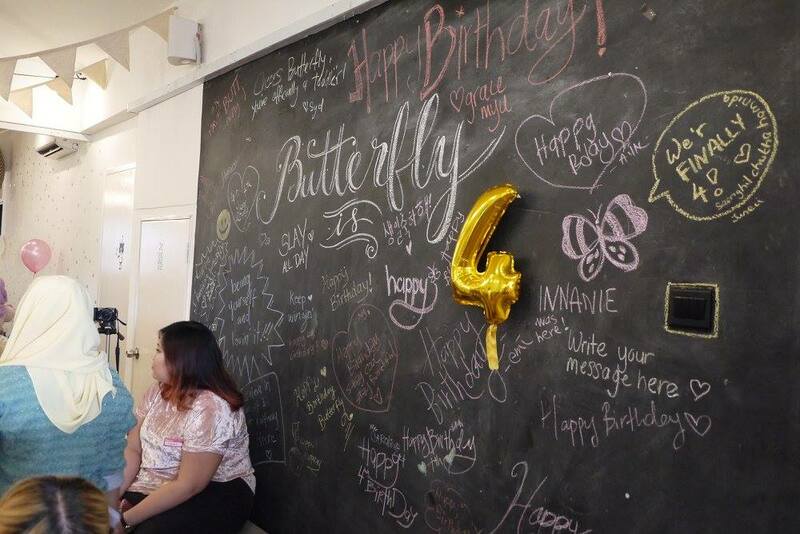 This time, the Butterfly Project Malaysia has held a best butterfly party makeup contest, congratulations to the 10 best makeup winners for winning away 10 NYX Gifts worth RM150 each courtesy of NYX Professional Makeup Malaysia. NYX is available at Sephora stores nationwide. 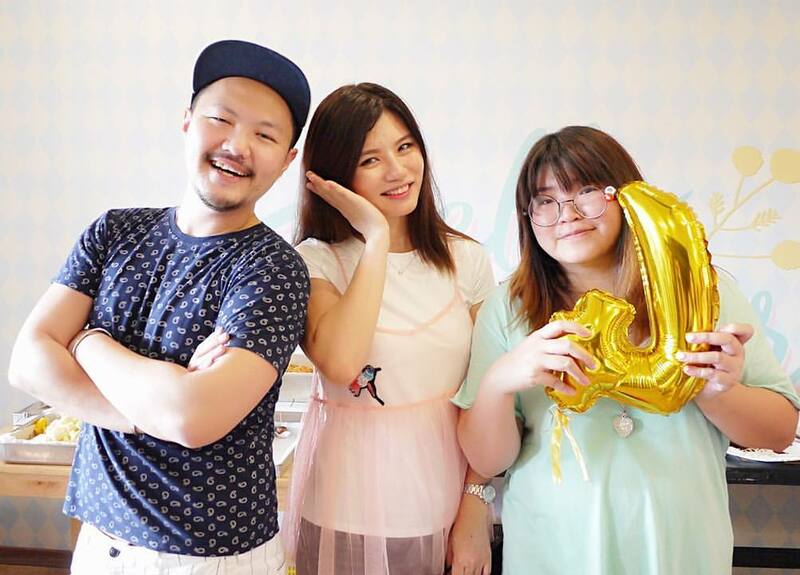 Not only that, the top 3 best instagrammers had also won themselves a The Body Shop hamper each. The Body Shop was one of my favorite stores when I studied in the UK. I remembered I used to shop at The Body Shop every week when I was there. Now, I could also buy them at The Body Shop Malaysia stores. Anyhow, congratulations to all the winners yo. 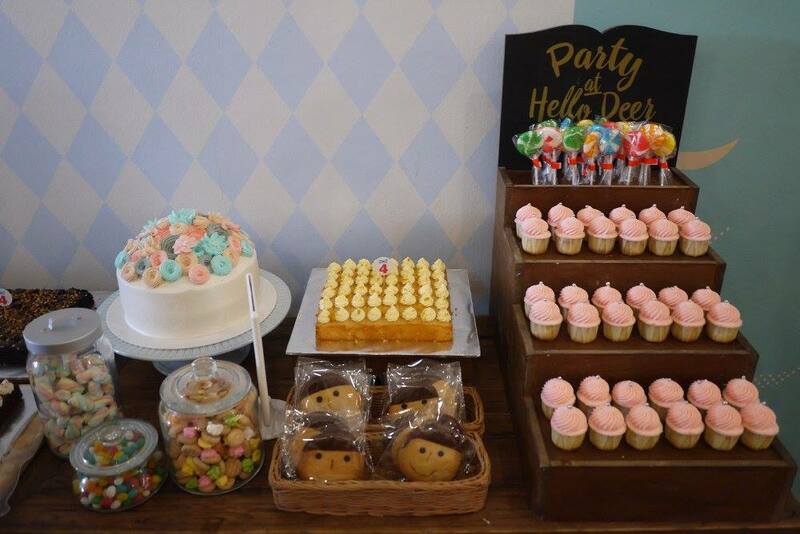 Now, come to the happiest part. 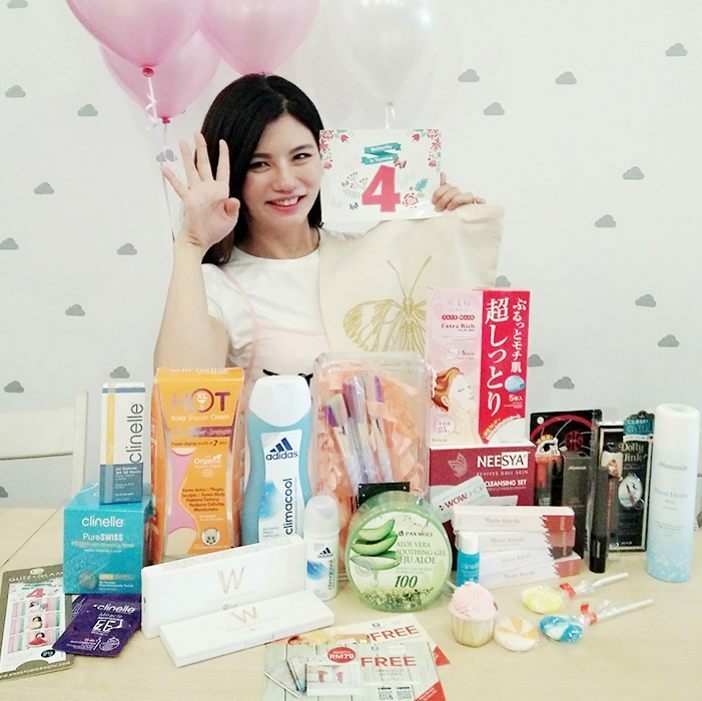 Everyone was so happy to unbox their goodie bag filled with many products! 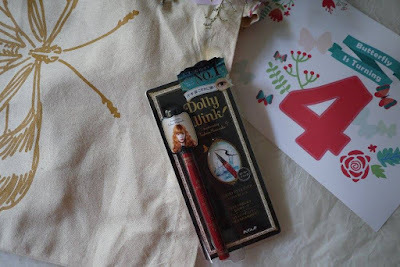 The goodie was packed in a reusable The Butterfly Project Malaysia tote bag, so nice! First of all, all lucky butterflies were given a set of UNICORN BRUSHES from Wanderlust Things. 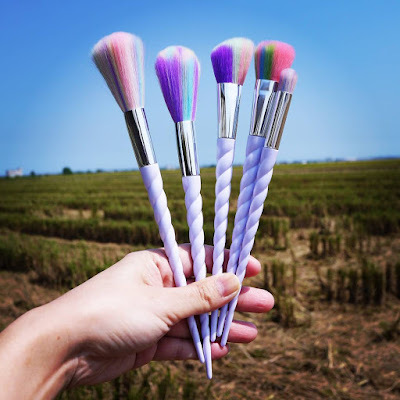 There were eye and face set, I was lucky to get the face set that contains 5 fluffy brushes for face makeup. As a brushes junkie, I can't wait to explore more on the brushes. We have got the tool ready, now comes the colors. W.Lab pocket shadow palette that is made in Korea. Contains 10 beautiful warm colors: Acasia, Cheery blossom, begonia, moss rose, kaffir lily, calendula, freesia, mari gold, sun flower, pansy, the pocket shadow palette is practical for everyday use. 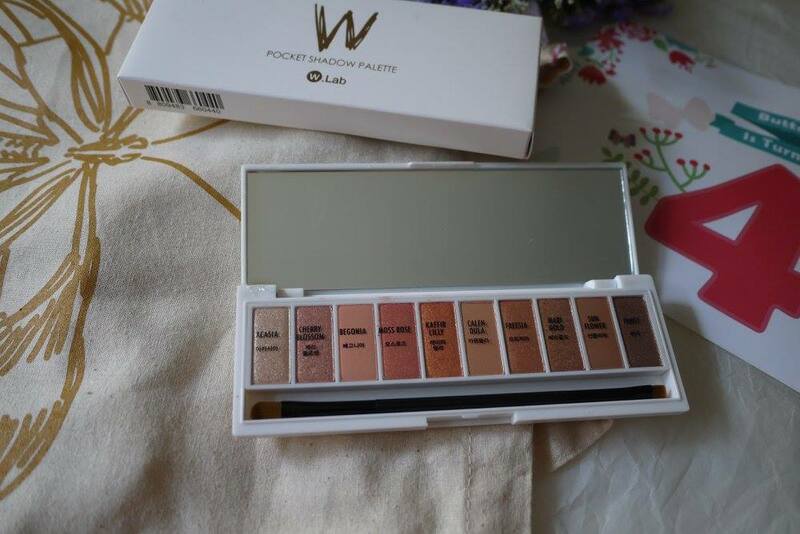 The palette comes in handy with a 2 heads eye makeup brush, great to carry it around anywhere and apply anytime. Eye makeup isn't complete with eyeliner and mascara. Dolly Wink liquid eyeliner in super black is the essential eyeliner for quick dry and long lasting effect. Produced by Tsubasa Masuwaka, a renowned Japanese model, Dolly Wink liquid eyeliner is easy to use, and gives us a define eyeliner almost instantly. 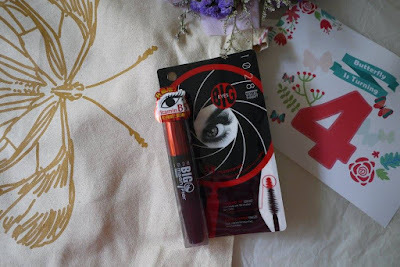 Made in Korea, 1028 Big Magnifier Mascara let us create voluminous, longer and bold eyelashes in no time. The special diamond tip coast easily over the smallest lash, and the cone shaped made it easily applied for 5x magnified, wide eye effect. The most unique part? It can be removed easily by warm water. When it comes to makeup, how could we miss lip colors. 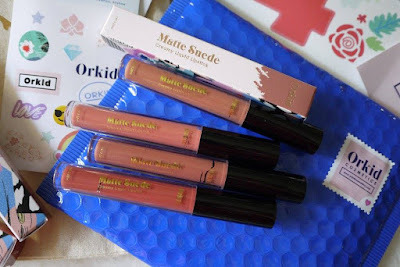 Orkid Cosmetics has sponsored their liquid lipstick of RM 39 each to the butterflies. They have gave us 4 beautiful and best new colors to try out. Each of the liquid lipstick is packed in a pretty paper box. The color payoff is gorgeous and last for a whole day. The best part is, Orkid Cosmetics is Halal and is suitable for all. 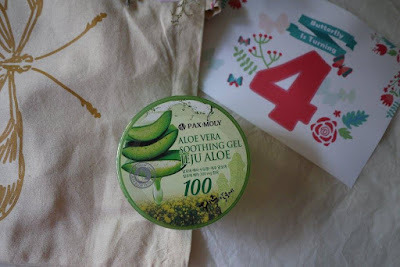 My favourite Korean brand - Mamonde has sponsored 2 products to the Butterflies too. 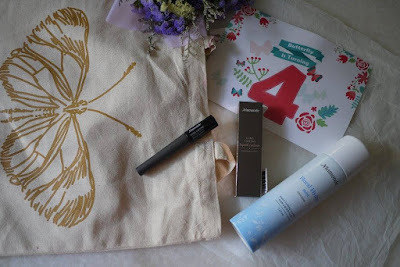 First, Mamonde Long Lasting Liquid Eyeliner that's worth RM 39. Mamonde Long Lasting Liquid Eyeliner has a define tips that let us create cat eye or vivid lines easily. The second product is the Mamonde Floral Hydra Mist (RM 49). This comes in time for the hot and dry season now. Contains Narcissus and water holding system formula, we just spray it on the skin to turns the heat down when necessary. We like its cooling and soothing effect. 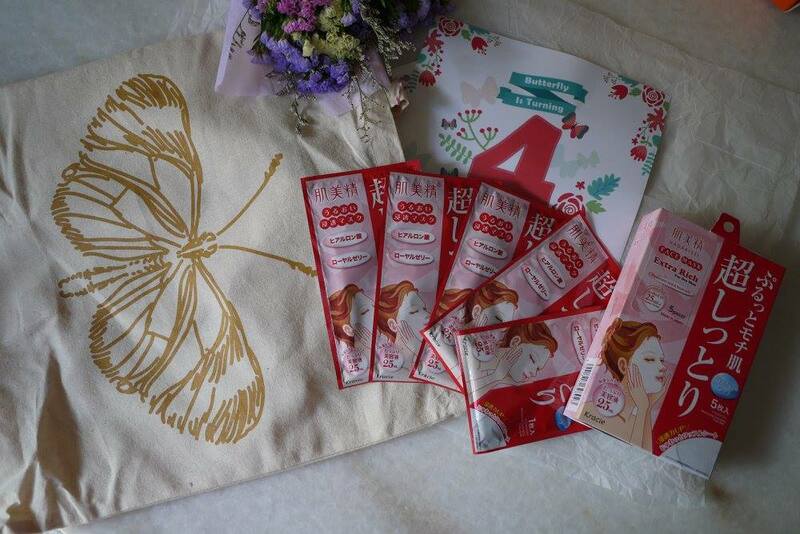 For more information on Mamonde, go to http://www.mamondegarden.my/. Oh ya, they are now available on 11 street for your purchase convenient too. Want to further soothing your skin? Apply the Pax Moly Aloe Vera Soothing Gel (RM 29.90). Using the Aloe Vera from Jeju Island, it contains vitamins and amino acids to cool your skin down in no time. Now, let's move on to skincare. Neesya cleansing set worth RM 39 contains a tub of brightening enzymatic refiner and a brightening gel cleanser. 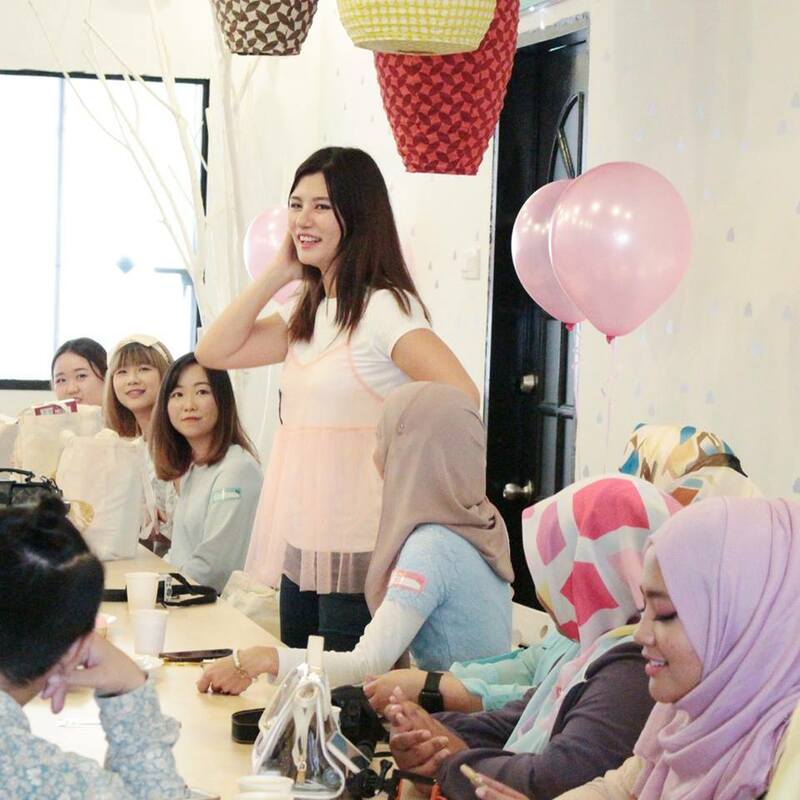 Neesya is a certified HALAL brand, the cleansing set could revive our dull skin so that it look brighten and glowing after using it. Once our face is clean, it's time to nourish it with mask. Hadabisei Moisturizing Face Mask Extra Rich, a box of 5pcs selling at RM 48.70. Made in Japan, Hadabisei Moisturizing Face Mask Extra Rich consists of rich serum that provides special hydration to the skin and instant boost of moisture. 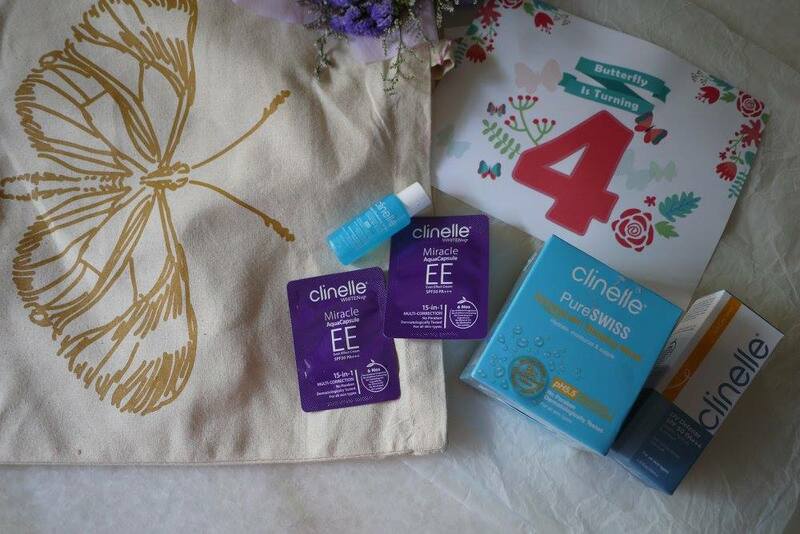 Clinelle UV Defense SPF 50 PA+++ (RM 48.70) is applicable everyday to protect our skin from harmful UV rays. The non greasy formula broad spectrum sunscreen is great for every skin type. Clinelle PureSwiss Hydracalm Sleeping Mask (RM 75.90) is one of the best selling product of Clinelle brand. It has water droplets technology that provide hydration to our skin overnight. Clinelle Hot Body Shaper Cream (RM 89.90) is my workout essential since it's launch. It helps to reduce cellulite, flatten tummy, shape, firm and tone our body in one product. It comes with a metal roller ball head to massage flabs away, just so cool and convenient to use! 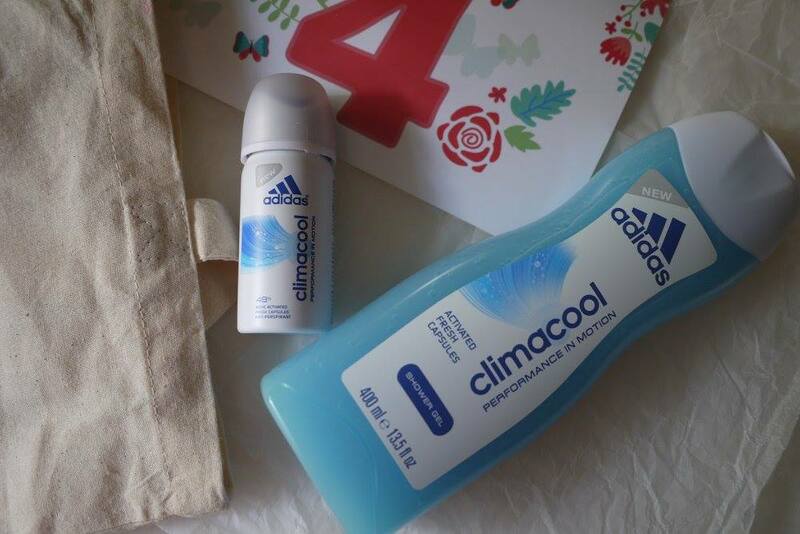 After working out, it's time to clean our body with Adidas Climacool Shower Gel. Selling at only RM 10.90, Adidas Climacool Shower Gel freshen up our skin and gave us cooling effect. Thanks to its innovative fresh capsule technology that is activated by movement or when you touch your skin. It's time to spray on Adidas Climacool Deodorant (RM 4.99) after bath. This anti-perspirant keeps B.O away and releases the same unique 'freshness' feeling that activates when you move. Thanks to all the generous sponsors, and great effort of The Butterfly Malaysia's team. I believed all of us had a great time at the cutest party ever! Keep it up, and look forward for more to come!